An Atlanta man and his Toronto girlfriend who had been missing for days in Belize, have been found dead. 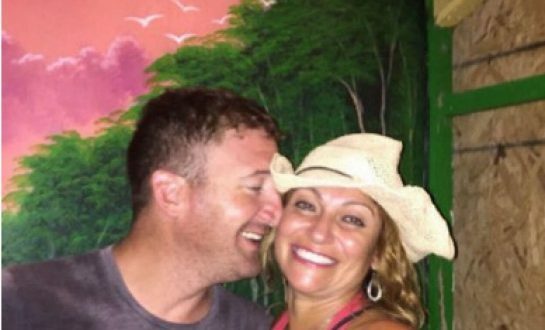 Drew DeVoursney, 36, and girlfriend Francesca Matus, 52, were expected to return Friday. According to Breaking Belize News, the bodies were found Monday evening in Corozal District, near the border with Mexico. “They were both found … they are dead,” says Nancy Rifenbark, a friend who joined a search party, per Global News. Matus’ vehicle was found abandoned in a sugarcane field on Sunday around 15 miles from where they were last seen leaving a bar last Tuesday night. It isn’t clear how the couple died, though foul play is widely suspected. Matus, 52, who spent winters in the Central American country, was supposed to fly back to Canada last Wednesday, the CBC reports. DeVoursney, a 36-year-old former Marine who had been with Matus for a few months, was scheduled to return to Georgia this week. “Drew is no longer with us. Someone had killed a United States Marine, my brother in arms, who survived Fallujah, Iraq, and Afghanistan,” said friend Brandon Barfield, per the New York Daily News. Barfield says DeVoursney signed up after the 9/11 attacks and served two tours in Iraq. Police have not released any official comment on the deaths.